The awesome co-hosts for the April 5 posting of the IWSG will be Chris @ Madness of a Modern Writer, Madeline Mora-Summonte, Fundy Blue, and Chrys Fey! The answer here is pretty simple, No I’ve never used it to market a book. I have, however, used it to market my blog, which in turn will later market my book. So it’s not quite the same thing, but it is a way to grow my platform. Speaking of, CHECK OUT ALL OF MY A-to-Z POSTS ON THIS PAGE. Most of the links won’t work until the appointed day of posting, so check back regularly, or better yet, sign up to receive updates in your inbox. Recently I learned about something called CPConnect, which stands for Critique Partner Connect. It’s run by Kim Chance, a wonderful authoress who happens to run a great youtube channel too! Check it out, it has great tutorials and ideas. CP Connect is going to be a blogpost where people looking for critique partners can post a comment about their project and meet up with some possible CPs. It’s a great opportunity to not only meet fellow authors, but to possibly make permanent friendships! Why is a Critique Partner so important? Why is it important to have two or three of them? Well, because everyone should have someone that they can go to and be like, “Yo, is this working?” and have them say, “Nah, man. Try this instead.” When you take into account how valuable having someone else’s opinion on your story is, you really can’t go wrong. So come on, join me in this new program, and join us at #CPConnect. This post was meant to go up on the first Wednesday of the month, for Insecure Writer’s Support group. 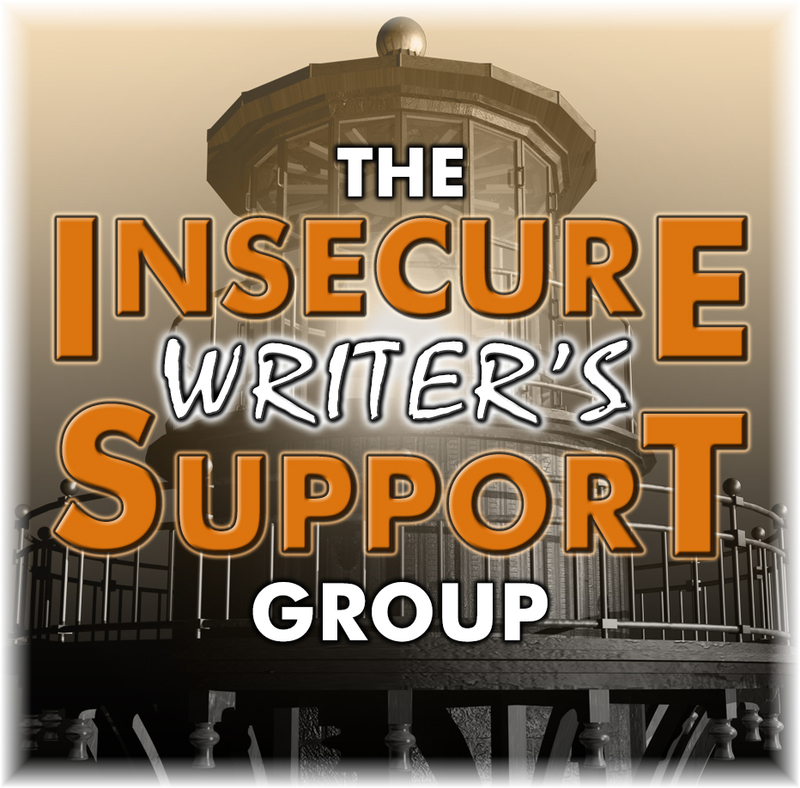 Created by Alex J. Cavanaugh, IWSG is a monthly bloghop where writers can share their fears, doubts and insecurities. The support from this group has been invaluable for my growth as a writer, and I don’t doubt it will be for you too! Unfortunately, I had an experience that I needed to share with IWSG before then, and so this one got pushed back a bit. But hey, who says I can’t plug the group twice in one month, hm? The quest ion for this month was: How has being a writer changed your experience as a reader? To answer this question, I have to quantify what I was like as a reader before I wrote. The honest answer is, voracious. But only of things that pertained to my interests. Now, however, I’m much less voracious. Reading has been a bit of a challenge for me since my ADHD has recently taken a much worse turn. Reading properly has causes my mind to wander, and my focus to scatter. It makes it painful, especially for someone who used to use the entire library as a proving ground. Audiobooks have become my bread and butter. Unfortunately, there aren’t a lot of writing books on audiobook, so I have to force myself into listening to books for their metre, their cadence, the way they put together words, and the way plot converges. I enjoy the books the same way anyone does, I suppose, by reading them this way, but I also find that I don’t learn much unless I put my all into actually studying the book. Since I became a writer, however, I’ve been considering something that I never really thought about doing before. Marking up books. Annotating them, so that I can see what exactly it is I’m working with, how they’re put together and what I can do to emulate them. I have yet to actually do this, only because I still haven’t gotten over the idea that marking up books is somehow sacrilegious. Another thing I’ve noticed is that I’m picking my books more carefully. I find myself being disappointed in books a lot more often, thinking ‘they could have done this instead’, or ‘this scene doesn’t work the right way’. So honestly, it’s a bit difficult being a reader and a writer at the same time. If only I could turn one off and keep the other. In the end, the thing I’ve learned the most is to read with intent. Because honestly, when one intends to learn from what one is doing, one will learn, no matter what you read. I challenge you, go out and annotate something! If you’re feeling exceptionally frisky, try annotating My Immortal. I wouldn’t wish that on my worst enemy. I honestly considered not doing this. I very much thought that I shouldn’t, because I’m not even sure I have the right to call myself a writer at this point. I’m finding it exceptionally hard to focus, to put in the effort. I haven’t put metaphorical pen to metaphorical paper in ages. I still write, sort of. I roleplay with a friend of mine, and the words flow easily in response to her replies. But I don’t really write my books anymore. I consider myself ‘trying’, if only because I truly do want to write, I just… can’t seem to get around the block, the stumble, the ‘I should, but can’t’. I have time, time I spend on tumblr or youtube instead. I have energy, sometimes. Not often anymore, but sometimes. I blame my circumstances, and say to myself “You’re better than this, push through.” But… Honestly, I wonder if I am. It’s the same with languages. I’ve always wanted to learn ASL and Japanese and Spanish. But I never seem to be able to put in the actual work. Only 180 words into this very article, and I’m having a hard time wanting to continue writing it at all, much less keep typing. My mind wanders, my eyes grow heavy, and I suddenly feel exhausted beyond measure. The same thing happens with housecleaning, with gardening, with anything I try. I feel lost and broken and lazy and spoiled. I feel selfish, because people are demanding things of me that I can’t provide. I feel, on my Bad Days, that I shouldn’t exist at all, because that would be easier than slogging through all of this. I haven’t been to see my therapist in three weeks. I don’t have another appointment set up. I bathe maybe once every five days, when I can force myself to get up the energy to do it, because if I don’t, I just… don’t. I’m broken, in that I don’t feel that sense of accomplishment everyone gushes about. It’s not there. I finish things, I do things, I work hard, and I don’t feel that glow everyone describes. I just… feel like I haven’t done enough. It’s heartbreaking, and it makes me not want to try at all. In the last four days, I have cleaned both the kitchen, bathroom and living rooms of this house, plus done more laundry than I’ve seen done in the entire history of my living in this house, plus at least two loads of dishes a day, plus watering the tomato and rose plants, and cleaning up my own room which was a pigsty. This is a massive amount of work. Trust me. But… I don’t feel accomplished. All I can think about is the fact that I haven’t done ENOUGH. That I keep being asked to do more, more, more, as if I’ve failed somehow. I can’t explain it, properly. And I can’t tell you how to fix it; because I think, perhaps, there are no ways to fix it.